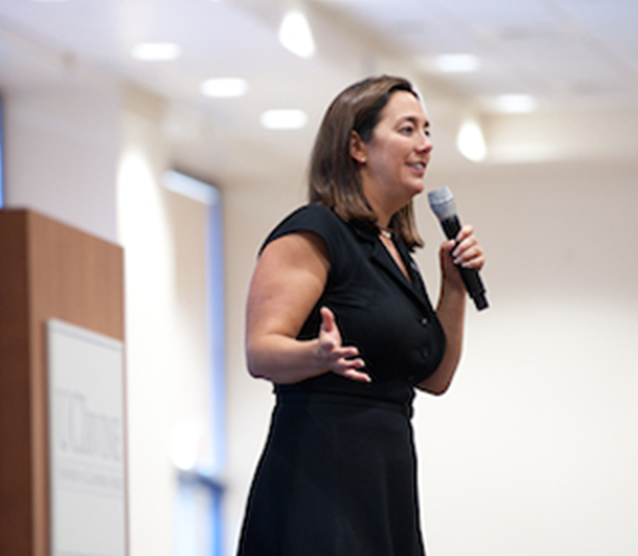 Erin Gruwell is a teacher, an author, and the founder of the Freedom Writers Foundation. Daisy Farias is a Freedom Writer and Special Education teacher who gives back to the community. Sue Ellen continues to share her inspirational story about the power of education and hope to youth and educators. Narada speaks about the difficulties of growing up in poverty, surrounded by gang violence, and the lack of a positive male role model in the household. 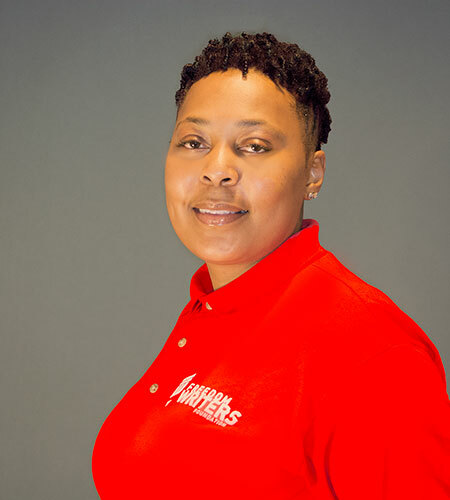 Shanita Jones pursued a degree in Child Development and currently works with the Freedom Writers Foundation. Ian Terrell is following his dream of pursuing a writing career by working on a book of poetry. 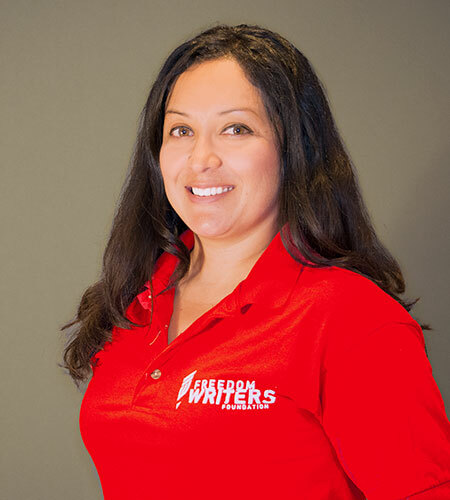 Jessica Martinez is an active Freedom Writer, serving as a member of the Freedom Writers Educational Advisory Board and assisting in the active training of teachers who participate in the Freedom Writers Institute. 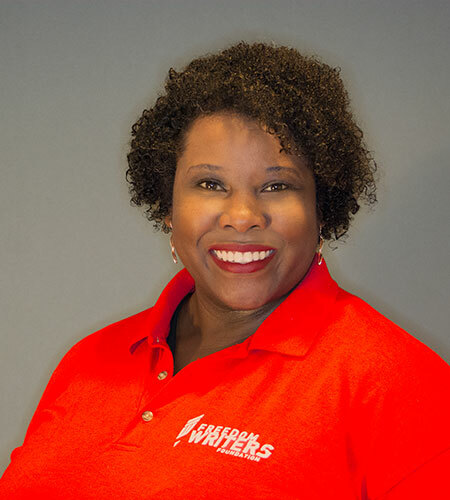 Tanya Payne believes the best way to tackle institutionalized racism and bigotry is through teachers, educators, and professors have the power to change the world. The tools of the Freedom Writers have prepared Stephanie for a future filled with hope. Ricardo Gonzalez is currently working on his A.S. in Architecture Design. Oscar is currently working towards obtaining his Doctoral Degree in Education (Ed.D) from Loyola Marymount University, which he will complete in 2016. Kanya Sim has worked as a Legal Aid and Outreach Director, helping people access services despite language and cultural barriers. By fostering an educational philosophy that values and promotes diversity, Erin transformed her students’ lives. For four years, Erin encouraged her English class of students in Room 203 at Wilson High School to re-think rigid beliefs about themselves and others, reconsider daily decisions, and ultimately re-chart their futures. Erin and her students captured their collective journey in The Freedom Writers Diary. 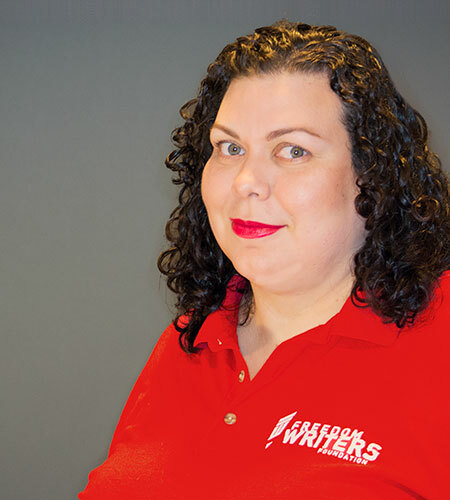 Erin subsequently founded the Freedom Writers Foundation, where she currently teaches educators around the world how to implement the Freedom Writers Methodology, a progressive teaching philosophy with curricula designed to achieve excellence from all students. Erin continues to advocate for equality in education and has inspired teachers and pupils alike from all over the world with her story, her work, and her abiding compassion for students. The youngest of three children raised by hard-working immigrant parents in South Central L.A., Daisy Farias' experience often felt split between three cultural worlds: Salvadorian, Mexican, and American. For Daisy, growing up with a mixed identity was often confusing. She never knew which culture to embrace, especially since her friends teased her about all of them. This was only amplified when Daisy entered school, where she felt pressured to assimilate to American culture while somehow maintaining her Latin roots. She had to learn English and a whole series of customs and values that differed greatly from those she had been taught at home. At school, Daisy eventually found solace in her fellow Freedom Writers. They helped her to realize that she did not need to choose one identity, but that she was a beautiful amalgamation of all three cultures. 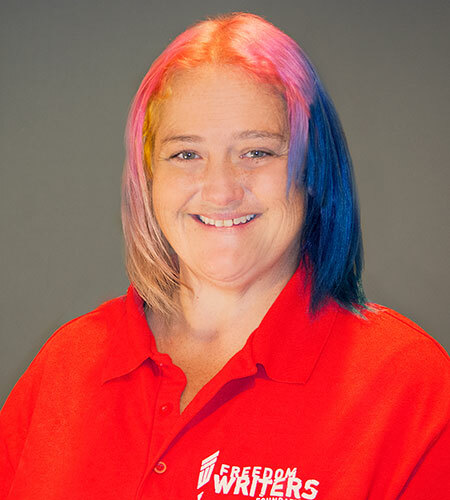 Daisy now works as a Special Education teacher and continues to partner with the Freedom Writers Foundation to spread her encouraging message of self-love to students with similar struggles around the world. Latilla Cain learned to be independent from when she was just six years old. Her single mother worked multiple jobs to provide for herself and her family, which regularly left Latilla without supervision or protection from the bullying she faced at the hands of the neighborhood children. Because much of Latilla's time was spent at home alone as a "latchkey kid", she lacked figures to lean on for help or advice with her bullies or her loneliness. Unlike many of her peers, Latilla used her time alone to develop a deep love for reading and writing. Latilla moved to Long Beach when she was eight, but the bullying continued to her new home. Unwilling to trust others, she became increasingly reclusive and eventually began to imitate bullying behavior herself. Latilla finally found a safe place where she felt accepted when she joined Ms. Gruwell's class in the tenth grade. It was in Room 203 that Latilla finally learned to trust others; with the Freedom Writers, her love of reading and writing was not just a coping mechanism, but a way to express her voice to her peers. She has since earned her bachelor’s and master’s degrees. 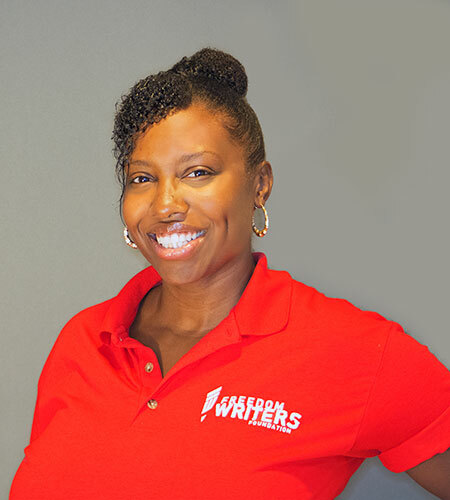 She now works with the Freedom Writers Foundation and for Big Brothers Big Sisters with the goal of providing that sense of acceptance and safety to new generations of students. Sue Ellen was raised in one of the predominantly poor and violent neighborhoods of Long Beach, California. It wasn’t uncommon for her to see prostitutes, drug deals and gang violence at the end of her block. The violence didn’t end there; it extended into her home in the form of an alcoholic and abusive father. Sue Ellen's parents divorced when she was thirteen, leaving Sue Ellen homeless along with her mother and brother. School offered little respite; she struggled in her classes, and her teachers called her lazy rather than recognize and accommodate her undiagnosed dyslexia. When she was 16, Sue Ellen’s brother died. Shortly afterwards, Sue Ellen joined Erin Gruwell’s classroom. Room 203 became the first place where Sue Ellen felt empowered and able to use her voice. Education and the support of her Freedom Writers family helped her to rise above the circumstances that once defined her. 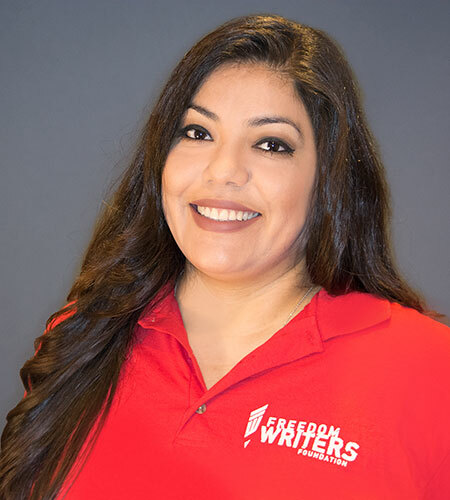 After graduating from Wilson High School, Sue Ellen graduated from California State University, Long Beach in 2009 with a BA in Chicano Latino Studies and a BS in Professional Studies. Today, she works at the Freedom Writers Foundation and is responsible for the human resources and accounting functions. Sue Ellen plans to continue her education and secure a Masters degree in business and accounting. Sue Ellen appeared on the cover of The Freedom Writers Diary and has written several entries in the 10th Anniversary edition. She continues to share her inspirational story about the power of education and hope to youth and educators around the country. At age 9, Narada Comans moved 3,000 miles away from his home in Pittsburgh, PA, leaving his suburban neighborhood for an urban nightmare. His father descended into drug use, fueling constant physical abuse against his mother and destroying the safe household he once knew. At the age of 14, Narada again was displaced due to circumstances beyond his control. The summer before his sophomore year at Wilson High School, Narada's family was evicted from his single household apartment due to his mom’s job loss. Too young to get a job and not willing to do anything illegal to get money, Narada felt defeated, helpless, and ashamed. With the start of 10th grade a few weeks away, he felt compelled to keep the hardships of his summer a secret for fear of being made fun of by his peers. However, Narada's experience as a Freedom Writer eventually encouraged him to open up about the hardships of his life. As the other students in Room 203 began to share the hardships of their own lives and build trust in each other, Narada no longer tried to keep his pain a secret. The support of his new Freedom Writer family allowed Narada to finish high school and go on to college in spite of the difficulties he faced at home. Today, Narada speaks about the difficulties of poverty, gang violence, and the absence of a positive male role model in the household. Narada has shared his diary story for nearly twenty years with the hope that his story can help and inspire others dealing with their own hardships. Narada also contributed an additional diary entry to the 10th anniversary edition of The Freedom Writers Diary. When Shanita was young, her mother moved Shanita and her four siblings from North Carolina to Long Beach. Once in California, Shanita’s mother began working three jobs to provide for her young family. As a result of her mother’s exhausting schedule, Shanita and her siblings became latchkey kids who often had to take care of themselves. Shanita took on the role of the surrogate mother, responsible for getting everyone up, dressed, and at the bus stop on time. Without realizing it, her mother ended up in a relationship with a prominent gang member. The family soon learned that their new step dad was a “god father” of the Crips. His status provided protection for Shanita as she navigated the rough, crime-riddled streets of East Long Beach. When Shanita and her twin sister entered Room 203 at Wilson High School, they were surprised by the actual interest Ms. G showed in who her students were inside and outside of the classroom. In spite of her dysfunctional home life, Shanita was able to make her education a priority because she felt supported by Ms. G and her Freedom Writer Family. 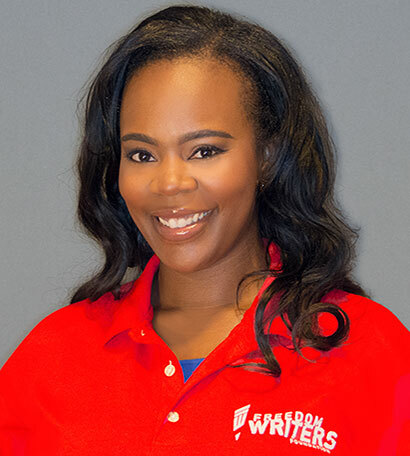 Shanita next to pursued a degree in Child Development and currently works with the Freedom Writers Foundation. She is also a proud mother and wife who serves as a volunteer parent for her children’s school seeking to support her family's educational and emotional well-being in the same way the Freedom Writers supported her. At a young age, Ian was diagnosed with Attention Deficit Disorder (ADD). This diagnosis only confirmed to the young boy the messages that he had been given by his teachers, classmates, and bullies his whole life: that he was excessively hyper, overactive, and, worst of all, different. The diagnosis also brought with it medication that had to be taken at certain times throughout the day, bring further attention to Ian and making it difficult for him to push back against the perception that something was wrong with him. Ian would struggle with these feelings of isolation throughout his childhood and much of his adolescence. It wasn’t until becoming a part of the Freedom Writers that Ian finally felt accepted. Ms. Gruwell taught him that it was okay for him to be himself and that there was nothing wrong with being different. In fact, his individuality was now something that he could take pride in. 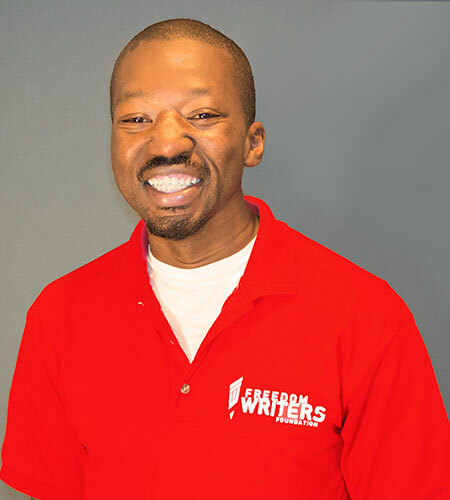 Even while he struggled with ADD, Ian's fellow Freedom Writers regularly encouraged and reminded him that he was not defective or lesser than anyone. The sense of acceptance that Ian felt within the Freedom Writers cemented within him feelings of positivity and helped to boost his self-confidence. Ian now lives in Long Beach, not too far from Wilson High School and the classroom that helped to change his life. Ian is following his dream of pursuing a writing career by writing a book of poetry. 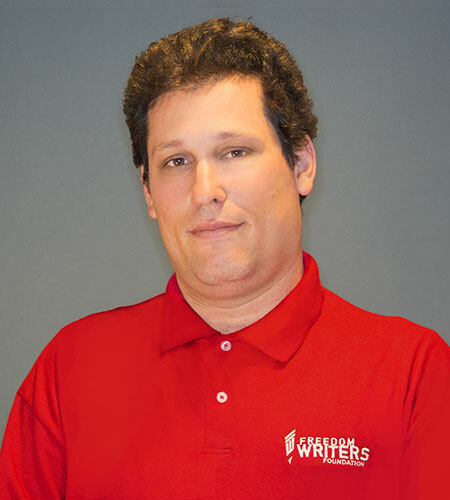 Through his writing, Ian is able to express himself to the fullest extent. Ian hopes to help the next generation take pride in themselves and everything that makes each person an individual. Jessica Martinez was born in the city of Torrance, California, but her early life mainly took place in neighboring Long Beach. She graduated in the class of 1998 from Woodrow Wilson High School, where she became one of the original 150 Freedom Writers and experienced a series of extraordinary events that taught her the value of education and how they could change the world around them with the power of their individual voices. When in school, Jessica was an English language learner and had problems with reading comprehension and writing. She remembers having many frustrating staring contests with her homework assignments. Her father, a single parent to three girls, had no idea if the assignments were correct because he could not read or write. Regardless, Jessica’s father always encouraged her to pursue her studies, having learned the crucial importance of a good education from his own life experience as an immigrant and a laborer. His encouragement remained consistent throughout her educational career. Yet her father’s encouragement was not always enough. Growing up in a broken home and experiencing several other life altering situations made it difficult for Jessica to focus and achieve in school. Fortunately for Jessica, this unstable existence changed the moment she walked into her first English class during her freshmen year of high school, where she met an idealistic 23-year-old teacher who was unaware of the enormous impact she would have on Jessica’s life. Erin Gruwell and the Freedom Writers provided Jessica with countless opportunities for personal growth and inspired Jessica to pursue her goals and graduate high school. Jessica holds a Bachelor of Science and a Master of Art’s degree in Occupational Studies and is currently enrolled in the Educational Leadership Doctorate program at CSULB. For almost 10 years, Jessica has furthered her goals by working for the Gang Alternatives Program (GAP), where she has contributed her passion and expertise to GAP’s vision to prevent young people from joining gangs as the Associate Director of Gang Prevention. Jessica believes that the greatest contribution she can make to society is to dedicate herself to empowering and inspiring young people so that they can take advantage of their education and have a voice and a chance to succeed in life. Currently, she remains an active member of the Freedom Writers Foundation as a member of the Freedom Writers Educational Advisory Board and assist in the active training of teachers who participate in the Freedom Writers Institute. Tanya was born and raised in Long Beach, California. Although she was brought up in a housing project and was effectively poor, her parents mostly shielded her from the violence and deprivation of her community. Tanya's mom, an RN, and her father prioritized her education, and she was thus raised knowing that going to college was not optional to succeed in life. With this strong support system in place, Tanya became one of the first in her family to attend a university. Tanya received a full academic scholarship to Brandeis University and matriculated without visiting the school. As a result, Tanya was ill prepared for the pervasive racism in Boston, and her studies suffered as a result. Ultimately, she was put on academic suspension and returned to Long Beach, where she attended Long Beach City College while she sorted through the emotional baggage and scars from her experiences in Boston. Tanya excelled at LBCC, earning admission to the National Society of Collegiate Scholars and Golden Key Honor Society as well as making Dean's Honor Roll during her tenure. In 2002, Tanya received a full Freedom Writer scholarship to California State University, Long Beach. Tanya's ultimate dream is to earn her doctoral degree from USC and become a professor. She believes the best way to tackle institutionalized racism and bigotry is to enlighten those who hold the power, meaning that teachers, educators, and professors have a critical role to play in changing the world. Growing up on the tough streets of Long Beach was far from easy for many children, but it was exceptionally difficult for Calvin. At only 18 months old, Calvin began a struggle to survive when he was diagnosed with epilepsy, a disorder that he continues to fight to this day. Calvin spent much of his youth moving from roach motel to roach motel with different family members. With drug dealers loitering outside the hotel windows and the threat of shootings or stabbings a constant presence on every corner, the conditions of his neighborhood made focusing on school seem very unimportant. As a result, Calvin cared little for attending school and largely spent his time there acting the class clown. Calvin was smart, but he preferred to spend his time performing impressions of Stevie Wonder instead of doing homework. As Calvin grew older and came into contact with Ms. G and the Freedom Writers, he also grew out of the need to be the class clown. Calvin transformed from a boy who would only pick up the slack after the progress reports rolled in to avoid extensive grounding to a man that learned to focus and and work hard in order to achieve his dreams and empower others. While Calvin has faced illness, bullies, race wars, and gangs since infancy, he has never stopped working to improve his life. Currently, he works a regular job with aspirations of moving up the ladder. He enjoys talking about the impact of his interactions with Ms. G and the Freedom Writers. 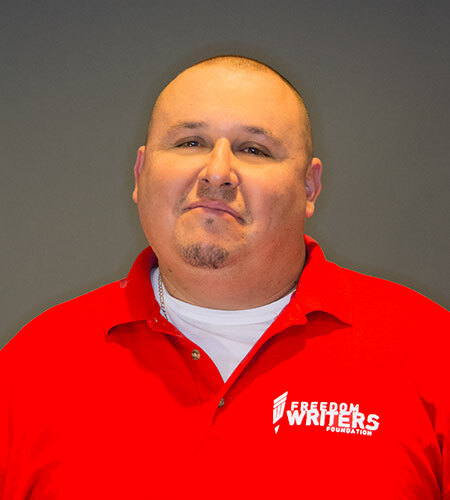 Carlos Barragan’s connection to the Freedom Writers story stretches back to when Erin Gruwell first began student teaching at Wilson High School in 1993. Carlos was abandoned by his parents early in life and was subsequently forced to live with his grandparents. Carlos constantly moved back and forth from Long Beach to Mexico during his formative years. By the time he entered high school and Ms. G's original class, he was a straight “F” student and the head of a tagging crew. It was Carlos who asked the critical question made famous by its later depiction in the Freedom Writers movie: “Ms. G, what is the Holocaust?” This question inspired Erin Gruwell to focus on Holocaust education in order to change her students perception about embracing diversity. After graduating high school in 1995, Carlos became a self-made entrepreneur and now owns his own plumbing company, SoCal Plumbing. Carlos has two beautiful daughters that he has raised to never feel the negative effects of abandonment that he experienced. Carlos has never left the home that Ms. G created for her students at Wilson High School, and still works closely with the Freedom Writers Foundation’s Outreach Program. Lisa Shouse's childhood was not spent creating fond family memories. The single parent household that Lisa grew up in offered her little in the way of emotional and physical support. Lisa’s father was controlled by a drug addiction problem throughout her formative years and was often completely absent. As a result, Lisa’s mother was often unable to fulfill her child’s basic needs. Though her father did not raise her, Lisa soon began to turn into her father’s daughter. During her teenage years, Lisa began to display her father's addictive personality traits and to experiment with his preferred choice of drug: meth. As Lisa began to fall for the controlling drug, she also found herself falling for a man that she thought would be the one. He was not; the relationship was a difficult one and pushed her further into addiction. However, good ultimately did come from this trying relationship in the form of Lisa's two beloved songs. Though Lisa has been tested throughout her life, she is proud to no longer addicted to meth and is now free of her abusive relationship. She now shares her story of overcoming addiction and abuse through the Freedom Writers Foundation and continually works to improve herself for her boys in order to give them a life that she wasn’t afforded in her youth. When you agree to participate in hatred, whether it take the form of violence, racism, bullying, gang-banging, or racial profiling, you are choosing to dim the light of this world a little bit more. However, you can also make another choice: to rise above and embrace tolerance. When you make that decision, the world glows more brightly. In the beginning of her academic career, Stephanie didn’t know how to take what she had been taught about tolerance and apply it to her life. Stephanie was surrounded by so much hatred in her daily life that she felt like she had no choice but to either perpetuate what was in her environment or remain silent about what she saw and felt. It wasn’t until Stephanie was placed in Erin Gruwell’s classroom that she learned that she had a choice to rise above the confines of her environment. Regardless of the circumstances of her environment, Stephanie felt like her voice mattered within the walls of Room 203. Empowered by her Freedom Writers family, Stephanie felt that she could stand up for tolerance. Stephanie continues to use her voice to remind others that they are not victims of circumstance, but rather victors who have the tools to choose hope and achieve their goals. Today, Stephanie inspires others through her work with the Freedom Writers Foundation to use their voice to choose the right path. Ricardo Gonzalez was born into a traditional large Mexican family with sixteen children on her father's side and twelve on his mother's. Poverty coupled with the common “macho” working mentality of the time limited his parent’s education and, in turn, their economic opportunities. Ricardo's father saw coming to America was an opportunity to find the life he wanted for his family. Ricardo was a good student and considered himself a “nerd.” Because he was a big kid, wore thick glasses, and loved school, Ricardo was often bullied on the basis of his appearance at school, with the notable exception of Room 203. Erin Gruwell and the Freedom Writers gave Ricardo a family away from home. He found support, advice, and understanding among the Freedom Writers. With the help of his new, even larger family at Wilson High, Ricardo achieved his father's dream of higher education. Ricardo now has five daughters and is dedicated to teaching them to become independent and strong women. He is currently attending Long Beach City College and working on his A.S. in Architecture Design. Ricardo plans to transfer to CSULB and to continue to create a path for his daughters to succeed in life. Oscar Carrera was born in the Bronx, New York, but moved to Los Angeles at the age of three. Oscar with his strong and supportive family. Not long after the Rodney King riots sent shockwaves of heightened racial animosity throughout the Los Angeles area, Oscar transferred to Woodrow Wilson High School in nearby Long Beach. 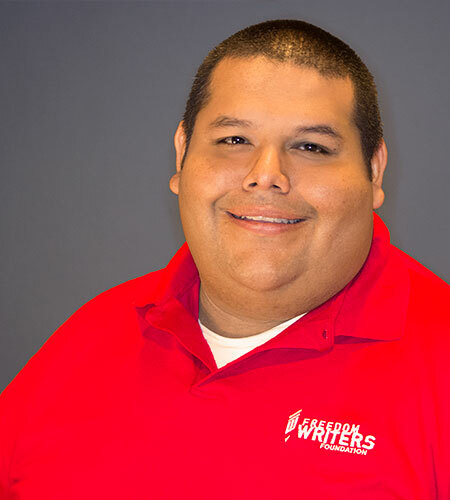 Oscar's below average test scores landed him in Erin Gruwell’s English class, where he became an original Freedom Writer. In Ms. Gruwell’s class, Oscar and his fellow Freedom Writers began writing in diaries that conveyed their personal thoughts, feelings, hardships, and triumphs. These diaries were later compiled and published in a number one New York Times best-selling book entitled The Freedom Writers Diary, which later was adapted into a major motion picture called Freedom Writers in 2007. Since graduating from Wilson, Oscar has continued to motivate, engage, and inspire his students in the power and importance of education. Oscar serves as a a spokesperson for the Freedom Writers as a board member in the Freedom Writers Educational Board Committee and as a motivational guest speaker. Oscar earned his Bachelor’s of Arts Degree from California State University, Dominguez Hills in 2005 and his Master’s Degree in Education from Loyola Marymount University in 2010. Oscar is currently working towards obtaining his Doctoral Degree in Education (Ed.D) from Loyola Marymount University. 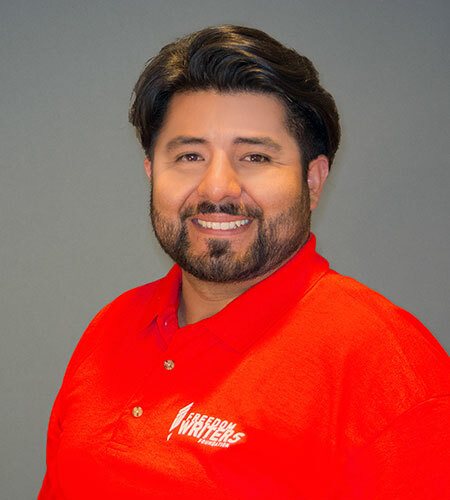 Oscar has worked in the Los Angeles and Adelanto Unified School Districts as a fourth and fifth grade teacher and currently teaches fifth grade in the City of Bell Gardens. Kanya Sim views herself as the lotus flower that bloomed in a muddy pond. Her parents fled Cambodia and the Khmer Rouge genocide when Kanya was three. Even after escaping the violence, Kanya's family faced the challenges of language barriers and cultural assimilation in a new and unfamiliar land. These obstacles only intensified the family's existing struggles. Kanya’s mother, an educated middle class woman, and father, an uneducated peasant farmer, had been forced to marry as punishment by the Communist regime. Kanya’s parents’ unhappiness resulted in constant fighting and fostered resentment in their daughter. Kanya had been forced to grow up quickly in order to help her parents adapt to life in the United States and, as a result, she found herself angry and ashamed of who she was and where she came from. She blamed her background for her feelings of pain and emptiness and began to seek love and affection elsewhere, often in the wrong places. By junior high, Kanya was hanging out with gang members. Her grades suffered, and she was repeatedly suspended from school for fighting. It wasn’t until Kanya met Erin Gruwell in her freshman year at Wilson High School that education began to provide her with the hope and meaning she had been looking for. Studying intolerance and hatred like what her family had experienced in Cambodia and learning how others had overcome adversity inspired and strengthened her. After graduating from Wilson High School, Kanya spent time in Lowell, MA, working for a domestic violence agency, focusing on outreach to Southeast Asian victims. She also worked as a legal aid and outreach director, helping people to access services that would have otherwise been cut off to them by language and cultural barriers. Recently, Kanya returned to Southern California and graduated from cosmetology school. As a cosmetologist, Kanay works to help others find beauty inside and out. Like a lotus flower that blooms unsoiled by its environment and radiates its beauty to the world, Kanya has grown from a life of past shame and self-loathing into a person who desires to sow serenity and value in not only her own life, but those of her family, society, and world. WHEN ARE NEXT INSTITUTE SESSIONS? 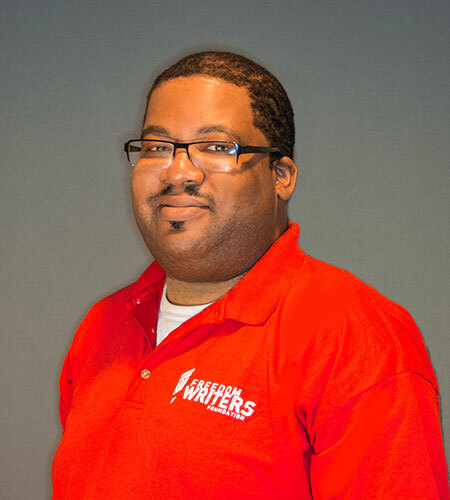 The 2018 Freedom Writer Teacher Institute sessions will be held on June 22-26, 2018 and July 27-July 31, 2018. 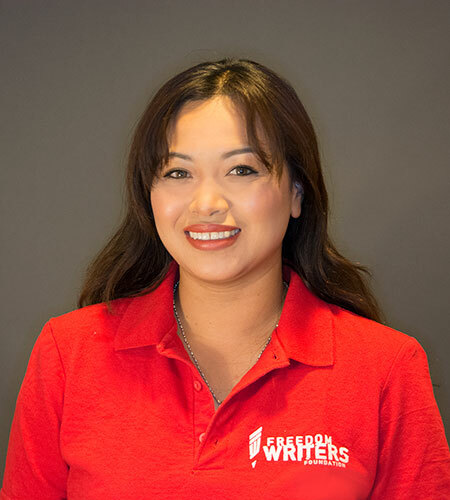 Our program fee of $5,000 per educator includes: 5 days of workshops led by Erin Gruwell, curriculum, hotel, meals, and year-round support as a Freedom Writer Teacher. Title 1 funding, professional development budgets, or education grants can be allocated for our training. Educators who attend our week-long institute program receive a certificate of completion and the title of Freedom Writer Teacher. Institute participants are also eligible to receive graduate credits through our partnership with Bay Path University. Freedom Writer Teachers become part of our esteemed international network of education professionals. Our Foundation provides them with ongoing professional development opportunities and support throughout the school year, including the Empowerment Symposium. We have worked collaboratively with communities across the nation (such as Omaha, NE, Springfield, MA, Westmoreland, NY and Los Angeles, CA) to incorporate our teaching methodology across their districts to evoke system changes. Freedom Writer Teachers have been awarded prestigious teaching awards, have become published authors, and are change-makers in their respective communities. Erin Gruwell, the Freedom Writers, and Freedom Writer Teachers are proud to have partnered with Scholastic for their On The Record series. On The Record is an innovative reading and writing program based on the Freedom Writers Methodology. The program melds memoir and academic writing in a comprehensive, Common Core aligned curriculum sure to engage students with its gritty and relevant content.